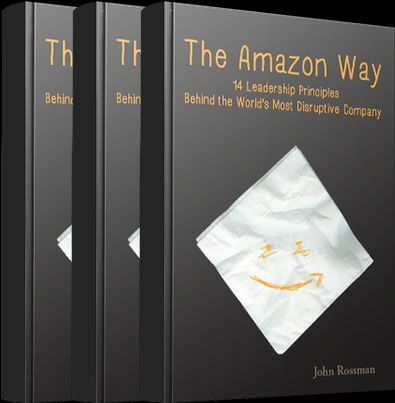 The three Amazon leadership principles that you can use to create more accountability on your team and in your organization. "In accountability a lot times it's not a situation you made, but you have to own it." "The best leaders...commit to it, there's no more hesitation, nor more pointing fingers or hedging...they really own it." Mantra: "I try to not drive looking through the rear view mirror, I only drive looking at the windshield." "You have to own your dependencies well beyond your current scope... you have to go upstream and downstream..."
"Amazon does not let the organizational structure get in the way of ownership. Don't let your org structure get in the way of doing the right thing." 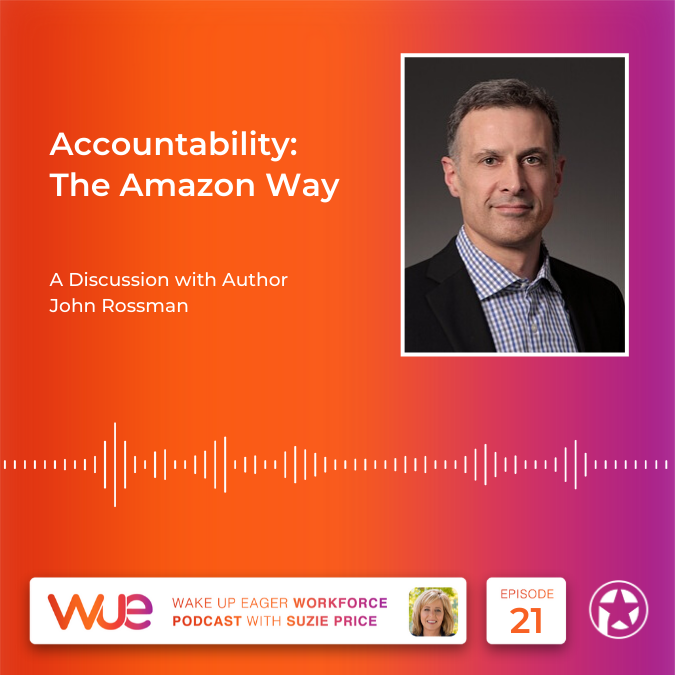 Topic 2: Describe what a culture of accountability looks like and the benefits, through examples at Amazon or in other companies, who have figured this out. Individual - understanding your daily priorities, really important. - Trust but verify, everybody would dive into your business - this was usual and not personal; "This is how we manage together as a team..."
-"In God we trust, all others must bring data." Leaders are Right A Lot – understand the details, dive deep, great metric, experience and intuition to know what’s right Leaders are right a lot. They have strong business judgment and good instincts. They seek diverse perspectives and work to disconfirm their beliefs. Having a Bias for Action – know the right time to analyze and the right time to take action Speed matters in business. Many decisions and actions are reversible and do not need extensive study. We value calculated risk taking. Be Vocally Self Critical - demonstrates that they are on top of their business, when leaders act this way – it gives permission to challenge others and builds trust. “How can we get better?” Speak up make sure the truth is heard… Honest feedback. “open his kimono --- there is simply no other way” Blend - Humility and will. A 1990's phrase @ Japanese silk robe - kimono - that means that everyone should share data. There should be no secrets between those in the meeting. everyone shares all the information they have with everyone else "honesty, bare and open" no holding back. Have to get over social-cohesion. This is the tendency for groups and individuals to want to get along so much that we don't hold each other accountable. It can be one of the enemies of accountability. Metrics and managing dependencies in a good and deep way can help with social cohesion. We don't want group think. A good leader gets results, hold people accountable and can get along with people. Hard to do. Advice to 30 Year Old Self: eat less sugar - have more unproductive time, your greatest personal strengths can become your weaknesses in some circumstances - "It's amazing what comes to you when you leave one hand open..."
Advice: Focus on the metrics of your business, be very thoughtful, slow down and really think about the metrics. 1. Obsess Over the Customer Leaders start with the customer and work backwards. They work vigorously to earn and keep customer trust. Although leaders pay attention to competitors, they obsess over customers. 2. Take Ownership of Results Leaders are owners. They think long term and don’t sacrifice long-term value for short-term results. They act on behalf of the entire company, beyond just their own team. They never say “that’s not my job". 3. Invent and Simplify Leaders expect and require innovation and invention from their teams and always find ways to simplify. They are externally aware, look for new ideas from everywhere, and are not limited by “not invented here". As we do new things, we accept that we may be misunderstood for long periods of time. 4. Leaders Are Right, A Lot Leaders are right a lot. They have strong business judgment and good instincts. They seek diverse perspectives and work to disconfirm their beliefs. 5. Hire and Develop The Best Leaders raise the performance bar with every hire and promotion. They recognize exceptional talent, and willingly move them throughout the organization. Leaders develop leaders and take seriously their role in coaching others. We work on behalf of our people to invent mechanisms for development like Career Choice. 6. Insist on the Highest Standards Leaders have relentlessly high standards - many people may think these standards are unreasonably high. Leaders are continually raising the bar and driving their teams to deliver high quality products, services and processes. Leaders ensure that defects do not get sent down the line and that problems are fixed so they stay fixed. 7. Think Big Thinking small is a self-fulfilling prophecy. Leaders create and communicate a bold direction that inspires results. They think differently and look around corners for ways to serve customers. 8. Bias for Action Speed matters in business. Many decisions and actions are reversible and do not need extensive study. We value calculated risk taking. 9. Practice Frugality Accomplish more with less. Constraints breed resourcefulness, self-sufficiency and invention. There are no extra points for growing headcount, budget size or fixed expense. 10. Be Vocally Self –Critical “How can we get better?” Speak up make sure the truth is heard… Honest feedback. “open his kimono --- there is simply no other way” Blend - Humility and will. 11. Earn Trust Leaders listen attentively, speak candidly, and treat others respectfully. They are vocally self-critical, even when doing so is awkward or embarrassing. Leaders do not believe their or their team’s body odor smells of perfume. They benchmark themselves and their teams against the best. 12. Dive Deep Leaders operate at all levels, stay connected to the details, audit frequently, and are skeptical when metrics and anecdote differ. No task is beneath them. 13. Have Backbone; Disagree and Commit Leaders are obligated to respectfully challenge decisions when they disagree, even when doing so is uncomfortable or exhausting. Leaders have conviction and are tenacious. They do not compromise for the sake of social cohesion. Once a decision is determined, they commit wholly. 14. Deliver Results Leaders focus on the key inputs for their business and deliver them with the right quality and in a timely fashion. Despite setbacks, they rise to the occasion and never settle.